18149The Traditional Pedestal sink from Renovator's Supply features sleek modernity combined with traditional design influences. - This is a gorgeous Traditional Pedestal sink. 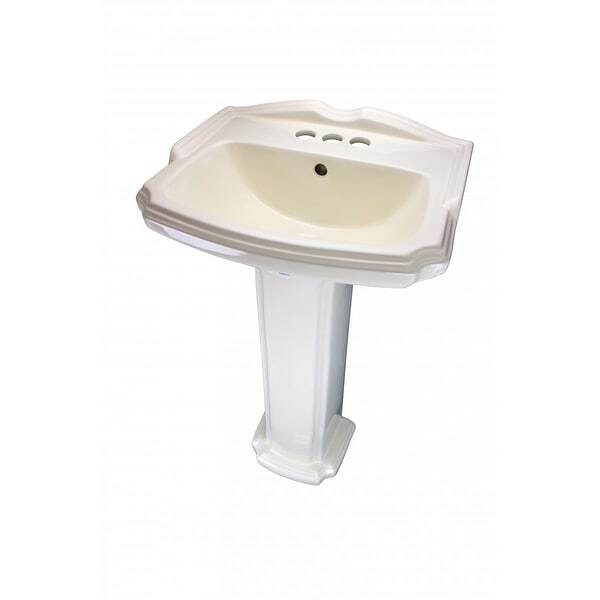 - Open-back pedestal sinks hide pipes and make installation a breeze. - Constructed from gorgeous Grade A vitreous china porcelain for durability and easy cleanup. - OVERALL: 33 High x 19 Wide x 14-1/4 Proj. - 4 Centerset Faucet (Not Included). - Design Inspirations: Modern and traditional bathroom appointments. Dimensions 15.0 In. X 19.0 In. X 33.0 In.